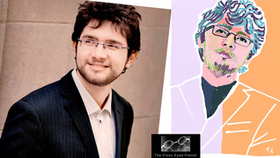 Lauded as "a master of tone-color" (International Piano, 2018) Rabinovich was the first of three young pianists to be championed by András Schiff, who selected him for his Building Bridges series in Zurich's Tonhalle, Berlin, Ruhr Piano Festival, and New York's SubCulture. Last season's highlights included Mendelssohn Concerto No. 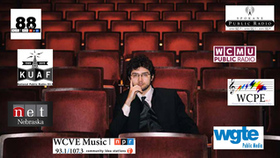 1 with the Royal Scottish National Orchestra under Roger Norrington, Rachmaninov Concerto No. 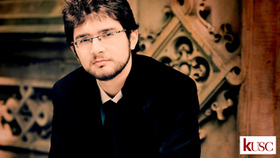 3 with the KBS Orchestra and Yoel Levi, Brahms Concerto No. 1 with the Szczecin Philharmonic, Beethoven "Emperor" Concerto with Israel Symphony, Prokofiev No. 3 with Des Moines Symphony, Bernstein ‘The Age of Anxiety' with Orquestra Sinfónica do Porto Casa da Música, Bartok Concerto No.2 with the Dohnanyi Symphony in Budapest. 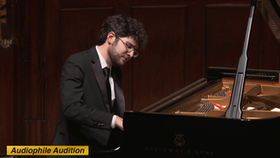 Hid recital engagements included the Washington Performing Arts Society, Vancouver Recital Society, the Houston Society for the Performing Arts, the Philip Lorenz Memorial Piano Series, Chopin Society in St Paul, MN, Lincoln Center's Alice Tully and Walter Reade Theatre and the Royal Welsh College of Music & Drama in Cardiff. 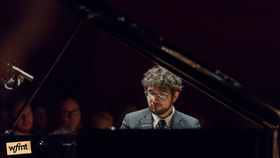 In spring 2014 Mr. Rabinovich has toured with the Haifa Symphony throughout the United States, performing as soloist with 4 different piano concertos in 30 concerts. 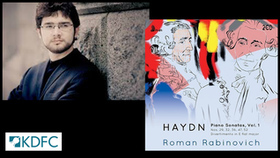 The pianist Roman Rabinovich is currently recording all of Haydn's piano sonatas for First Hand Records, with the 2nd volume set for release later this year. A great champion of Haydn's music, his explorations of the keyboard sonatas have included a 42-sonata cycle at The Bath Festival and partial cycles at Lammermuir Festival, ChamberFest Cleveland and the Israel Conservatory of Music. 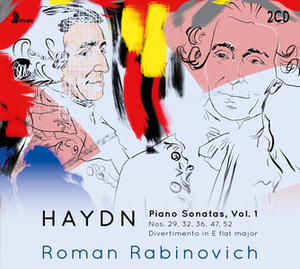 Rabinovich has earned a reputation for bringing Haydn's often-neglected keyboard works to life, praised by The New York Times for "admirable interpretations, performed with a rich, full-blooded sound, singing lines and witty dexterity" (Vivien Schweitzer, April 2016). 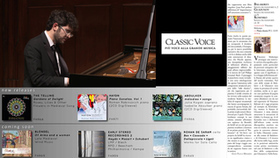 This first volume includes two CDs featuring Piano Sonatas Nos. 36, 32, 29, 52 and 47, as well as Divertimento in E-flat. 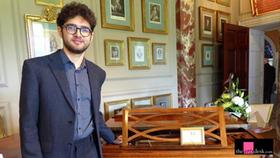 The KDFC: San Francisco 'Download' for this week ( week of April 16 ) comes from the first volume by the young Israeli-born pianist.